Every Ladakh season, one of the most common questions I answer on my blog is “How is the mobile phone connectivity in Leh Ladakh?”. The season for traveling to Leh Ladakh is in full swing in the months of June to September every year. Thousands of people make a trip to Ladakh by road or by flying directly to Leh in this season time. However, they are worried about being connected to the family back home in such a remote place. Of course, Internet and mobile phone connectivity is an integral part of our lives nowadays. One cannot imagine a life without a mobile phone or Internet and not being connected with our loved ones even living seven seas away from home. So, Leh – Ladakh isn’t a special place when it comes to mobile phone connectivity or Internet access. Hence, knowing about mobile connectivity in Ladakh will help you in many ways making a trip to Ladakh. Well, in this article today, I will share some tips on mobile phone connectivity in Leh – Ladakh. Communication or staying connected with our loved ones is one of the prime necessity of our lifestyles in this era. 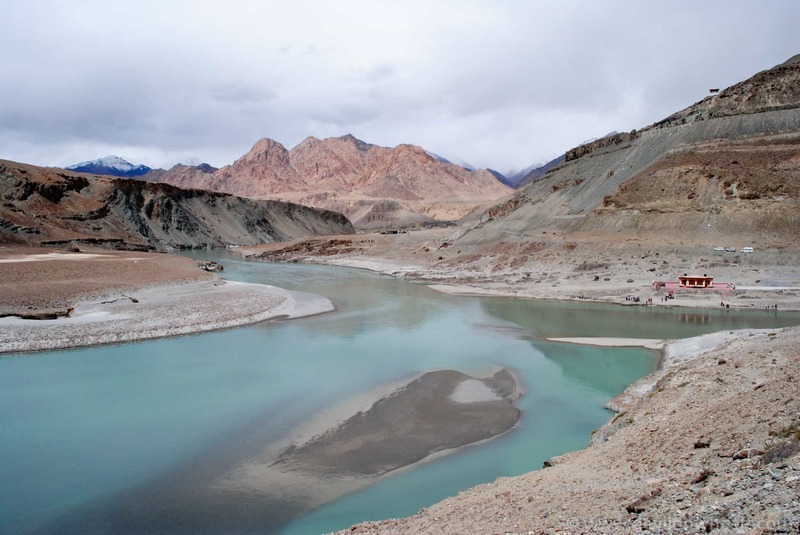 Unfortunately, things aren’t as rosy as we may assume when it comes to communications or staying connected when we talk about remote parts of the Himalayas including Leh – Ladakh. Hence, below tips will surely help you to set your expectations right in terms of phone or mobile connectivity in Ladakh before you make a trip to Leh – Ladakh in the upcoming season. Given below are some important tips on details related to mobile phone connectivity in Leh – Ladakh and surrounding regions including Srinagar – Leh Highway and Manali – Leh Highway. Please read them carefully before planning for your Leh – Ladakh trip. Asking about Mobile Phone Connectivity in Leh – Ladakh?? First and foremost thing to keep in mind is that only postpaid mobile connections of outside J&K state work in Leh – Ladakh and other parts of Jammu & Kashmir. The prepaid mobile phone connections outside Jammu and Kashmir state does not work in Ladakh. Hence, do not carry any prepaid mobile phone connection for connectivity in Ladakh. So, always carry a postpaid mobile phone connection only from your hometown. Otherwise, your phone will be dead all throughout your stay in Leh – Ladakh, and parts of Kashmir without any phone connectivity. You may be able to get pre-paid SIM cards within Leh – Ladakh or Kashmir in case you have forgotten to carry a postpaid phone connection from home. You can give it a try to stay connected wherever possible, at max, they will say NO 🙂 🙂 … Mostly it works in case you know someone closely in Ladakh. Only very few places in Ladakh have phone connectivity available to be in the network area. Otherwise, you will mostly be out of phone network coverage when you travel to Ladakh. Mainly the mobile phone connectivity is present around Leh and local areas around Leh. As you travel from Leh to Nubra Valley, the phone signal starts to go away as you almost reach the top of the world’s highest motorable road, Khardung La (falsely claimed). As you reach the top of Khardung La and start to descend into Nubra Valley, the phone signals fade away and only comes back when you reach Diskit / Hunder in Nubra Valley. If you are traveling from Nubra Valley to Pangong Tso directly, there will be no mobile phone connectivity on that route. But, once you reach Pangong Tso, you will find phone signals of BSNL at Lukung, Pangong Tso. Even Tangtse, 34 KMs from Pangong Tso has BSNL / MTNL mobile phone connectivity. 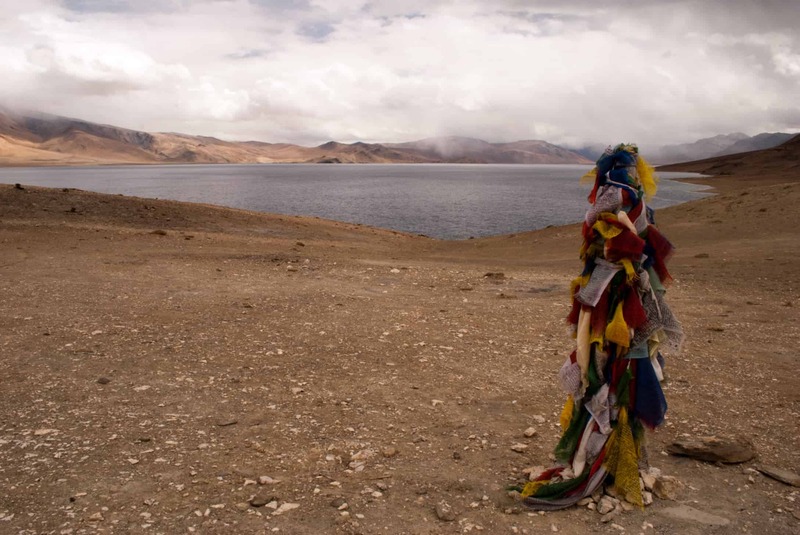 If you are traveling from Leh to Pangong Tso, the phone signals will go away near Chang La pass and no phone connectivity will be present between Changla and Tangtse. 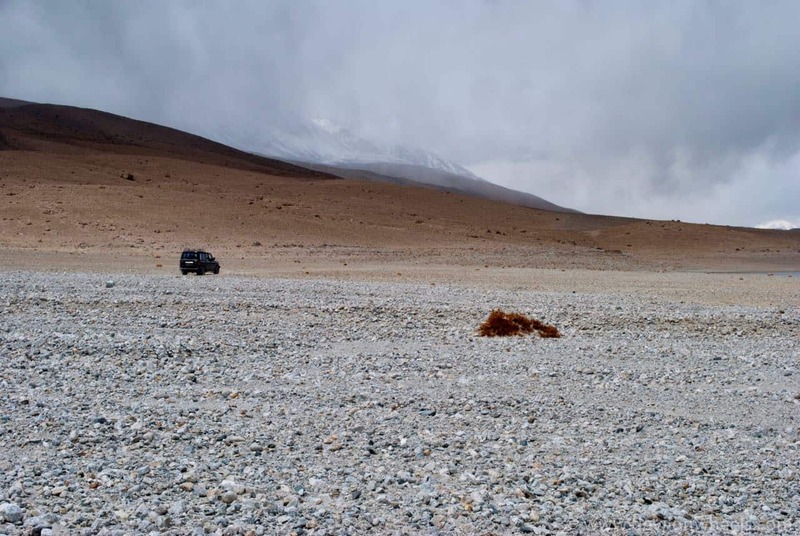 Now, if you are traveling from Pangong Tso to Chusul to Hanle to Tso Moriri, there is no phone connectivity up to Hanle. When it comes to Tso Moriri, there is no mobile phone connectivity or phone signals at Tso Moriri or Korzok village. The nearest place to Tso Moriri where mobile phone signals are present is Chumathang, about 70 KMs from Tso Moriri. Then from Chumathang, if you move to Leh, you will get mobile phone connectivity at Upshi to Karu and will be there up to Leh. When traveling to Leh Ladakh by road from Manali Leh Highway and Srinagar Leh Highway, you will not find much phone connectivity as well. Majority of long sections on both these high roads to Ladakh, do not have phone signals. Only a few places or towns comes in between from Srinagar to Leh or Manali to Leh where mobile phone connectivity is present. So, it is very important that you pass the messages to your family and friends before leaving on these long routes as you might not get a chance to pass a message for a day or two after leaving from main towns. If we consider mobile phone connectivity on the 474 km long Manali Leh Highway, it is quite intermittent and large portion of Manali Leh Highway does not have any phone signals. As you leave from Manali cross Rohtang Pass and reach Keylong or Jispa for a night stay, most part of this day you will have phone signals and Internet as well barring few sections in between. However, on the next day when you leave from Keylong or Jispa to Leh, once you cross over Darcha the phone signals go away for rest of the route. You will not find any mobile phone signals or connectivity at Baralacha La, Sarchu, Pang or Taglang La. The first time mobile signal will come at Upshi after descending from Taglang La. So, you can see that mobile connectivity in Ladakh is a luxury on a road trip to Ladakh from Manali. In September 2018, news has started to come by that Reliance Jio is going to introduce the mobile phone connectivity on Manali Leh Highway up to Sarchu from Leh. They have already launched the phone services up in Ladakh this year. Similarly, when you travel to Ladakh from Srinagar Leh Highway the phone connectivity is a bit better when compared to Manali Leh Highway but not that great. You find the phone signals between Srinagar to Sonamarg but then phone connectivity is lost as you reach Zoji La pass. Once you reach Drass and Kargil, the mobile phone connectivity is present and you can make phone calls at these places. So, I will say first day on Srinagar Leh trip you will get fair connectivity. The phone signals fade away as you cross Mulbekh, travel over Fotu La and Namkee La to reach Lamayuru. Mobile phone connectivity is present at Lamayuru but as you start towards Leh for rest of the 125 KMs, it fades away. Finally, the mobile connectivity is restored near Nimmu and remains mostly with you up to Leh. 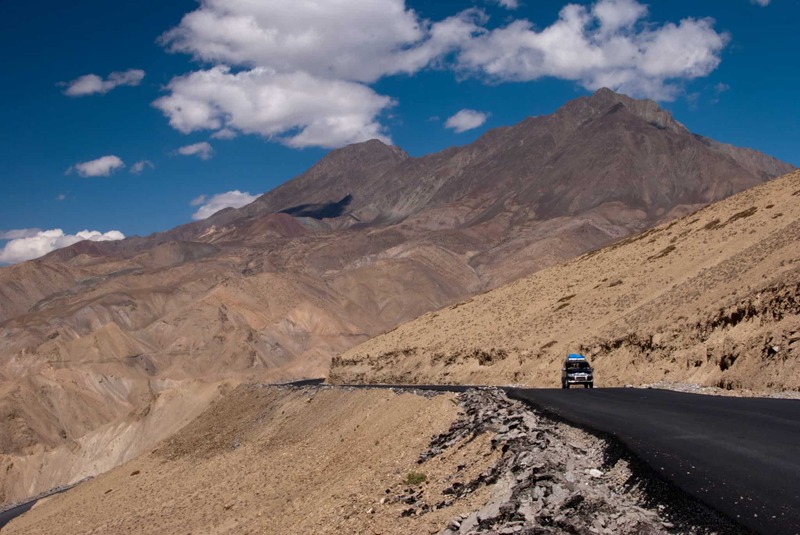 On most of the routes to sightseeing places in Leh – Ladakh you will not get any mobile connectivity in Leh Ladakh. Hence, you should call at home or inform your loved ones whenever there is a connection available or before venturing out for sightseeing or reaching another place on that day. Many of the remote places or villages in Leh – Ladakh or Manali – Leh Highway does have satellite phones available at Rs 2/minute for STD/ISD to make a call in case of emergency but again keep them only for emergency. These phones in remote areas of Ladakh are not meant to call your girl or boy and say that you love her so much 😛 😉 … Who knows that abusing such lifesaving emergency facilities in such remote regions of Ladakh may end up in a lost cause in real emergencies. Even you could be the one to suffer too by such acts. Hence, use such facilities only in case of emergencies, not for any personal use. Always inform your loved ones before leaving for sightseeing in Ladakh and make sure they know your whereabouts of the plans and the day. BSNL mobile phone services have the widest coverage of mobile phone connectivity in Leh Ladakh. Airtel is followed by BSNL in terms of mobile phone services in Leh – Ladakh. In September 2018, even Reliance Jio has launched its services and is being considered to beat both BSNL or Airtel in terms of quality and coverage. Now, when it comes to the quality of phone calls in Ladakh, Airtel offer much better call quality than BSNL or MTNL. However, I feel it is much more important to get the coverage of phone signals than quality to deliver a short message. Hence, you should always carry a BSNL / MTNL postpaid mobile phone connection when traveling to Ladakh. Let’s wait for Reliance Jio in the upcoming season to get more updates on the phone services in Ladakh in terms of coverage and quality. They are going to offer one of the widest coverage in Ladakh as per news. Other networks just remain alive around Leh city only. Mostly they buy the airtime from these providers only. Again, I personally over-weight wide coverage over better quality any day because at least you can convey your message by SMS if you have connectivity with you. However, sometimes SMS also does not work. Having said all that, the connectivity and reach has greatly improved in the last few years and improving every year. Starting 2018, data speed or Internet speed in Leh Ladakh by Reliance Jio has been praised a lot. I am sure in time to come we will get more feedback on data speeds or Internet in Leh from Reliance Jio. Otherwise, you can use WIFI in Leh Ladakh which is available in hotels, restaurants or cyber cafes. Almost most hotels in Leh offers free wifi connectivity, so make the best use of it. As you might have known by now in this article that mobile network coverage in Leh Ladakh is fairly limited. 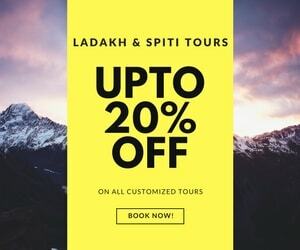 Hence, you should never plan a Leh – Ladakh trip based upon on the fly communications believing that you will call someone and get connected to prepare for next move or help find better stay or find some help on the way by just dialing a phone number. This might not favor you due to the non-existence of the mobile phone network in Leh Ladakh when you are in dire need. Hence, plan everything before venturing to the Leh Ladakh trip. Be ready to be proactive & disciplined because at times in remote places the mobile connectivity tower will work just in the morning working hours and or when there is light. So, make the best use of available phone connectivity you get any time in the day at any remote place to connect with your family and friends. Otherwise, who knows when you get mobile network coverage next time when doing sightseeing in Ladakh. Last but not the least, have patience within yourself and consider you are back in an era of landlines with poor connections, either call will not through or phone calls will drop off or takes 100s of attempts to make one phone call in Ladakh. Be ready to have tons of missed call alert messages once you return home from Ladakh :)… This is most usual in places with connectivity other than Leh. Hence, tell your family and friends too before leaving for a Ladakh trip because they might also not connect through due to the same phone network issues in Ladakh. So, nothing to worry about, it is usual in general not to get connected on phone in a single time. Leh weather or electricity in Ladakh may get erratic and in case you are sleeping overnight at some remote place, power banks may come in handy not to restore the power of your phone but to enable them to take more pictures and videos too. The places like Pangong Tso, Tso Moriri, Hanle, Chusul, Chumathang, etc.. or other remote places in Ladakh or Manali – Leh Highway may or may not have electricity. Sometimes the electricity is available in morning/evening only. So, having a good backup power bank could really prove helpful to charge your mobile phones on regular basis. I wonder how much more I use my iPhone camera now than my DSLR camera only because of ease of use, flexibility, feature and even transfer/share of pictures in instant. So, it is not just talking time or SMS that I require battery power on my phone. Hence, while traveling to remote places in the Himalayas like Ladakh, Zanskar Valley or Spiti Valley, it is always wise to carry a good power bank of 20000 mAH. Q1. Does prepaid phone sim card work in Ladakh? Prepaid mobile phone connections outside Leh Ladakh does not work in Ladakh. As a state, J&K does not allow outside state prepaid phone connections to work. The postpaid connections from BSNL / MTNL, Airtel and Reliance Jio does work in Leh Ladakh. Q2. Which is the best mobile services in Leh Ladakh? BSNL / MTNL outside state mobile postpaid connections offers the best mobile network coverage in Leh Ladakh. Reliance Jio is planning to take over this statement as of 2018 and I strongly feel that by 2019 Ladakh season, Reliance Jio may be the best mobile network in Leh Ladakh in terms of both coverage and Quality. Airtel mobile network also works in Ladakh but coverage wise it is fairly limited to Leh town. Of course, Airtel network offers better quality than BSNL. Q3. Does Reliance Jio phone connection works in Ladakh? As of September 2018, Reliance Jio has installed the towers in Leh Ladakh and phone connectivity has been started in Ladakh by them. The Internet data speed of Reliance Jio connections has been said to be quite fast. Reliance Jio is also planning to provide mobile phone connectivity up to Turtuk in Nubra Valley and Sarchu on Manali Leh Highway. Q4. Does Vodafone phone connection card work on a Leh Ladakh trip? Mostly Vodafone prepaid and postpaid phone connections do not work in Ladakh. Q5. Does Aircel phone connection card work on a Leh Ladakh trip? Mostly Aircel prepaid and postpaid phone connections do not work in Ladakh. I hope the above tips on phone connectivity in Leh – Ladakh, and the Internet in Leh will help you plan your trip to Ladakh in better and expected way without any surprises. 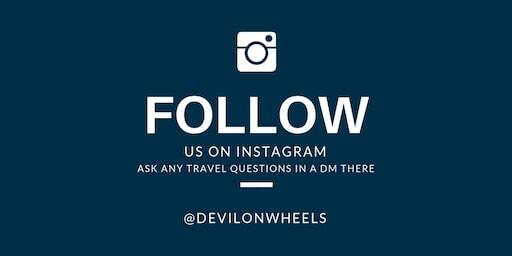 In case, you have any questions or suggestions, feel free to post them either in the comments section of this article below or in the “Ask a Travel Question” weekly session on Instagram. 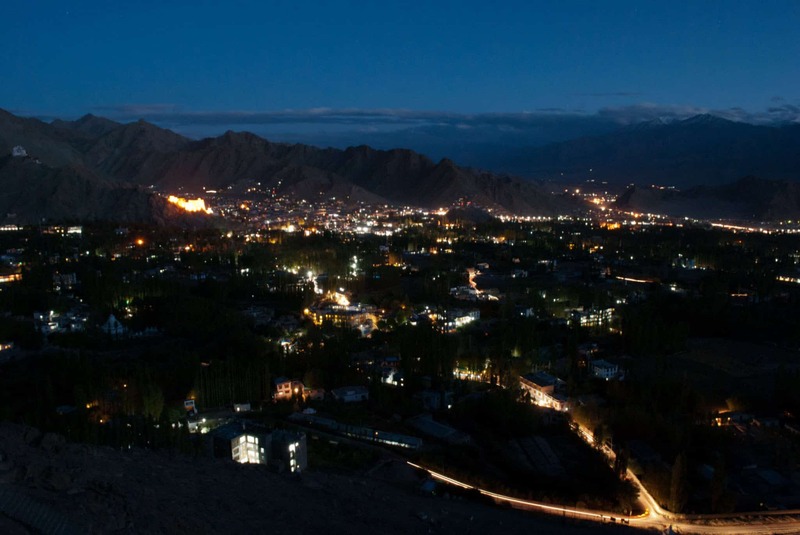 This article has been updated with the latest information about phone connectivity in Leh – Ladakh. It is kept up to date every season to reflect the current status. Feel free to suggest any further updates you deem fit. No Himanshu, Vodafone also mostly do not work. Sometimes they buy airtime but now Aircel gone, I do not think it will work. Is there idea network in leh? Any idea if the recently launched Jio postpaid will work there… since it has better coverage compared to its competitors everywhere else. HI …we are planning to visit leh in july …and i am an asthma patient…will it b tough for me?are there medical facilities nearby? hi dheeraj ,, i m landing on leh on 14 september ,, if i have to buy sim there ,,, how much time does it take to start sim?? I don’t have that idea Harry. I think it will take time same like it takes locally for pre-paid. However, you need to consider how you will buy the local sim as they might need local address proof. Please inform…vodafone postpaid will work in leh ladakah. If it’s in between the city then it’s also ok.
No, Vodafone post paid in general does not work in Ladakh. Sometimes they buy some air time from others and mostly they don’t work though. Does idea postpaid work there?? we are planning a leh trip from aug 13th to 20th. Places we are planning to cover is leh–nubra–turtuk–pangong–leh. Wanted to know about the weather conditions ,so that we can carry clothes accordingly. Also would it be raining at that time? It is fine to travel duing that time of the year. You can check a very balanced and most common itinerary for Leh – Ladakh followed by many travellers including me at the link here for 13-14 days: Most Common Itinerary for Leh – Ladakh. Very Informative.we are senior citizen friends Group of 6 is it advisable to travel leg ladakh? Yes, you can surely travel. Please plan the trip with a good number of days, fly to Srinagar and travel at ease by road and then you may fly out of Leh. Thanx my brother is travelling from Usa to visit Leh ladakh in mid June. He will be in Delhi for one night only from your posts I understand he should have post paid Bsnl.can I mail one from Ahemdabad? Hi Dheeraj, a very informative post. As a non-indian tourist I will be in Delhi for a few days then I will go to Srinagar – Ladakh. What would you recommend regarding provider or possibly multiple providers? Being able to call in Leh is essential I think to book hotels etc. Also being able to call/use whatsapp/google maps in Delhi, Pathankot and Srinagar would be nice. If you are comfortable searching for few hotels here and there after reaching Leh, it should be OK. You will get a prepaid number only as a non-Indian which does not work in Leh – Ladakh as post paid connections only work up there. So, buying it in Delhi will not be a choice unless you want to just make reservations which if required you can do over emails as well, now. You can only use Google Maps and Whatsapp too unless you have not entered J&K state because post that only postpaid connections work up there. So, you may need to buys the sim again. Hey Dheeraj.. I want to ask u that we are 5-6 person nd we are planning for leh in start of april. What u say,it works? Vikas, you can fly in to Leh and fly out of Leh as roads to Ladakh are closed during that time of the year. No, it is not legal to carry satellite phones in India. Hey we are going to come on 25th July to ladakh! Can u tell how will be the weather at that tym so we can carry clothes according to that!! Which is the best network so we can carry that! Only post paid connections work in Ladakh. BSNL has the widest coverage in Ladakh so it is always preferred to be carried with you. There are couple of wine shops in Leh but drinking alcohal may cause AMS symptoms to elevate and cause more trouble. Weather will be nice and pleasant, cold at times. So, one light jacket is a must to carry with light woollens. We a group of 12/13 want to visit Ladakh in in middle of August, 2017. We will start from Srinagar and complete at Manali. Whether I can get a BSNL prepaid Mobile connection FROM Srinagar with necessary documents. I come to know that only post paid connection of other states are working but I want to use prepaid connection. Please advise me. Dulal, I am not 100% sure if you will be able to get the SIM car for pre-paid in J&K as you need to provide residency proof of that state AFAIK. Best wishes for you trip, feel free to post any question you may further have for your trip. 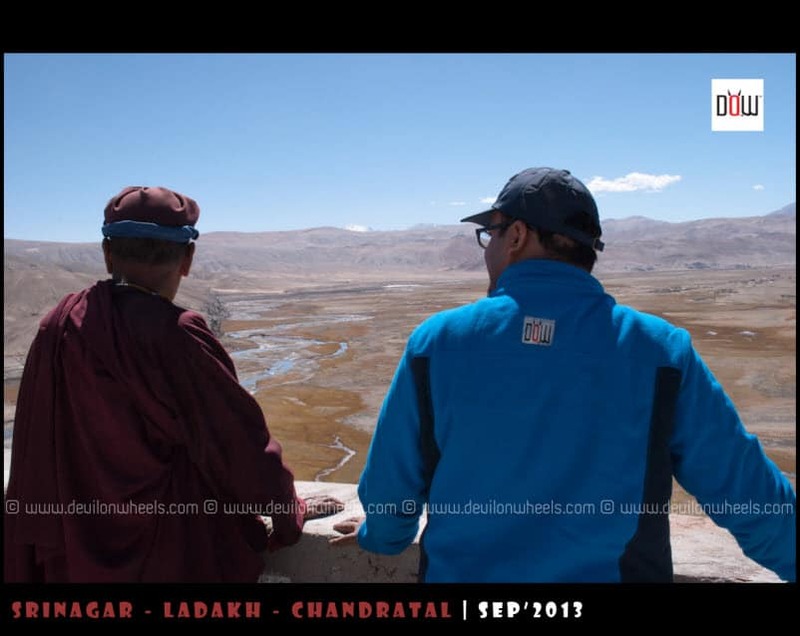 Is dis gud tim to visit leh Ladakh…. Wat vl b the climatic condition,weather n oxygen level?? Shrenik, if you are going as a tourist and have never been to Ladakh, I will highly recommend making a trip in Season time May to September. In winters, Ladakh is harsh and if not go well prepared, things can turn out bad. Nice post. 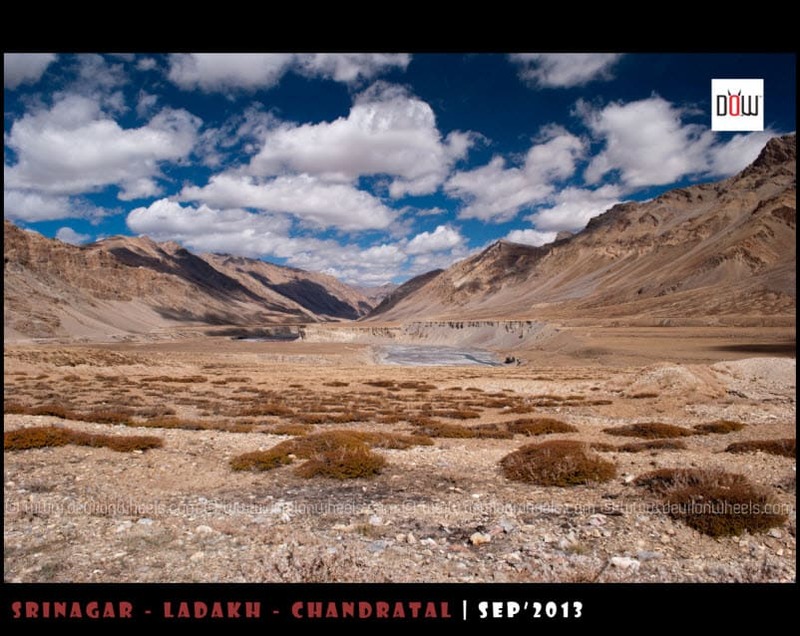 I am going to do a cycle trip this year to ladakh and currently preparing for the same physically and mentally. I have a question regarding the stay. I would be carrying tent with me eradicating the expense of staying in a hotel. Can I pitch tent anywhere of do I have to take permission to pitch tent in ladakh? If so any idea about the cost? Which network will provide me a better connectivity in BSNL Postpaid or Airtel Postpaid? Wide coverage, go with BSNL any day if you want limited but good connection, then Airtel may be better but only around Leh. i am planning a roadtrip on my Avenger 150 cc Street. is the bike safe and compatible enough to ride through leh ladakh?? Yes Harender, your bike have enough power to make a Ladakh trip. can you get a temporary sim in Leh? It may be possible but I am not 100% sure. You do have to submit some proof not sure if address proof is required or not. Hi! Does BSNL pre-paid connection work in Leh-Ladakh region? I’ll be travelling mid of August, from Bangladesh. I think getting pre-paid connection will be easier for me! Hi. I will be travelling to leh on July 15th 2016. just wanted to know will Bsnl prepaid work for incoming calls. i have a vodafone post paid. will it work at leh? Most likely yes as for last couple of years it has started working in around Leh. Vodafone post paid connection did not work for us in and around Leh, we visited in June this year. Yes, it is year by year. Sometimes vodafone works and sometimes it does not support. If I were you, I will get a postpaid BSNL which I have. In fact I have both of them but BSNL always comes to rescue when in need in Himalayas. My husband is doing a bike ride from delhi to Leh. He started this Sunday at 2 AM. Last time I connected with him on Monday nite when he was in Mandi HP. After that his both of the no are coming switch off. I was very tensed as we planned everything except this connectivity issue. He is having an Airtel postpaid and a bsnl no. I am very tensed. I am also leaving for Leh this Friday via flight. And then we will b Cmg back together on bike. After reading ur blog feeling a bit relaxed but plz help me what possible I can do to get connected. Hey…i just wanted to ask when is manali leh highway opening this year..?? Any status update..? Thanks a ton !! Just a small query which cars can go till leh ?? Can wagon r be a good option ?? Really required information Dheeraj, nice work, Keep it up.!!! Thanks Amol, glad it is helpful. Dheeraj, Good information once again. How about vodafone network? Only BSNL and Airtel works in Leh? Vodafone at times work in Leh but mainly limited to only Leh only. AFAIK from the locals, they work on yearly contracts and hence depend upon year to year. From the last couple of years they do work in Leh and vicinity of Leh. The post is very informative but I feel you won’t realise there’s a world to connect to when you connect with the serene and mesmerising beauty of Ladakh..
me n my fiancee planning to go leh ladkh by road in July..is it safe by road? Monika, 1000s of people travel by road to Ladakh every year. Risk is always associated with adventure.